The UK Parliamentary, District and Town/Parish elections were on Thursday May 7th 2015. 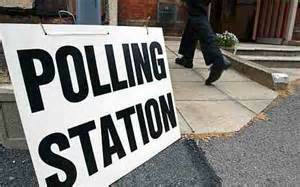 You can no longer register to vote in the May 2015 general election but can still register for other future elections. You must be on the electoral register to vote in elections. Registering takes around 5 minutes. You’ll need your National Insurance number (if you have one). You can use this service to register to vote and/or update your name, address or other details on the electoral register. Willersey residents voted for our Westminster MP and also two district councillors representing Cotswold and Vale at Cotswold District Council. You had one vote for the MP and up to two in the District Council election. The Willersey Parish Council election is uncontested as the number of candidates (four) does not exceed the number of council places (nine). The polling station was as expected in Willersey Village Hall. It was open from 7:00am until 10:00pm. You did not have to bring your poll card with you but it was helpful if you did as it speeds up the process. Here is the official Statement of Persons Nominated and Notice of Poll for the Parliamentary election. Here is the official Statement of Persons Nominated for the District election. The Cotswolds Constituency covers the entire Cotswold District together with three Stroud District Council wards (Kingswood, Minchinhampton, Wotton-under-Edge). The overall Parliamentary electorate is currently around 77,500. The last Parliamentary Election was held on 6th May 2010, when the electorate then was 76,729 and turnout was 71.65%. The elections to Cotswold District Council on May 7th 2015 will be the first to be conducted in line with the revised arrangements and boundaries introduced as a result of a recent electoral review carried out by the Local Government Boundary Commission for England. Overall, the number of councillors has been reduced from 44 to 34, with 30 single-member wards and 2 two-member wards (Campden & Vale in the north of the District; and Lechlade, Kempsford & Fairford South in the south-east corner of the District). All 34 seats are up for election. The last District Council elections were held in 2011, when turnout averaged around 50%. Elections for all 87 Parish and Town Councils across the District will also take place on 7th May, with 606 seats to be decided. There are 128 polling stations within the Parliamentary Constituency area, all of which will be open from 7.00 a.m. until 10.00 p.m. on polling day. Results were added to the Council's website as soon as possible after the counting of votes for each election has been completed. The Twitter account @CotswoldDC also carries results information. Results information is also available from the Council Offices at Trinity Road, Cirencester. Here are the Notices of Uncontested Parish and Town elections. 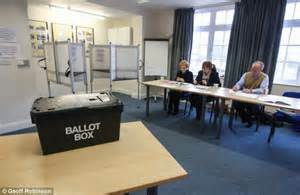 Willersey is very near the end.
. Cotswold District Council is urging residents to make sure that they are ready, and able, to cast their votes. The Council is keen to ensure that anyone entitled to vote does not miss out. The deadline for postal vote applications, or to amend an existing postal or proxy vote, is 5pm on Tuesday 21st April. Anyone wanting a new proxy vote (i.e. to enable someone to place a vote on their behalf) should apply by 5pm on Tuesday 28th April. Finally for completeness here is the Statement of Persons Nominated for the Parish and Town Council elections and the list of polling stations. For Parish/Town Councils, there will be 17 contested elections; with 126 candidates vying for 102 seats. Do feel free to link to us at any time ( but ask if you want to copy any content).